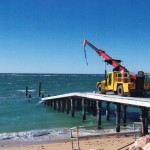 Mandurah Jetty Construction has installed the two ocean access boat ramps for the Shire of Exmouth joint venture with the Department of Transport the first being Bundegi and the second Tandabiddi. 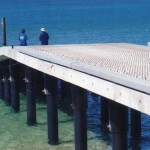 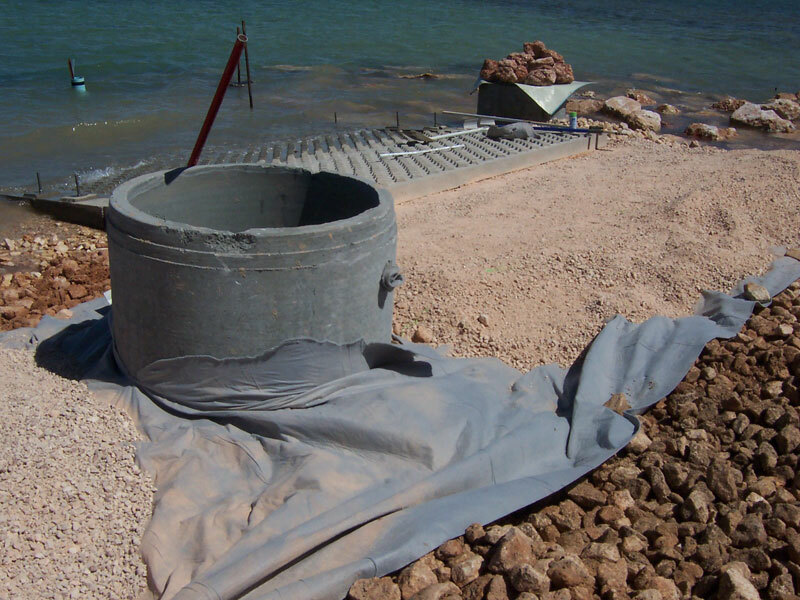 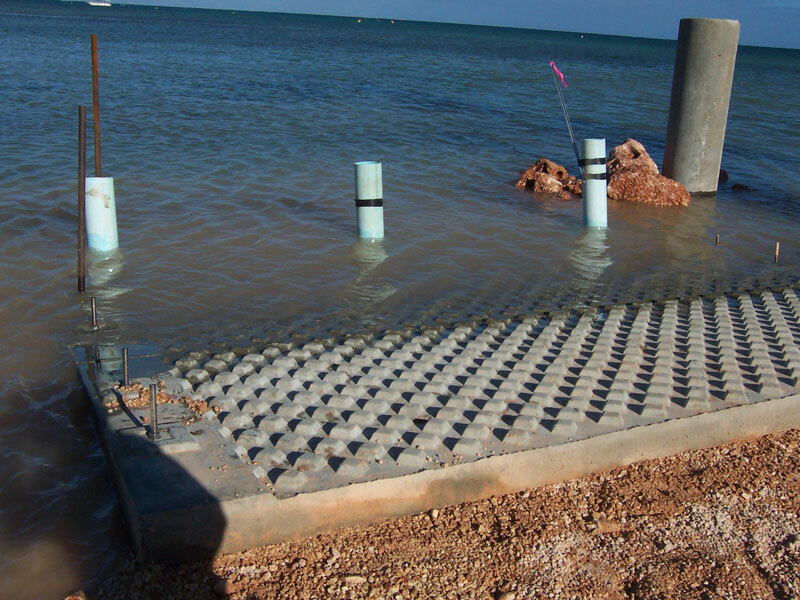 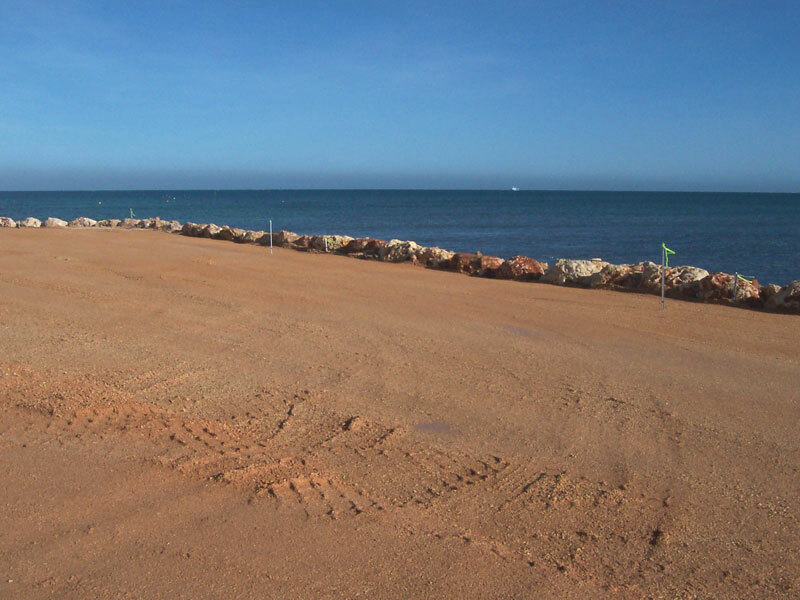 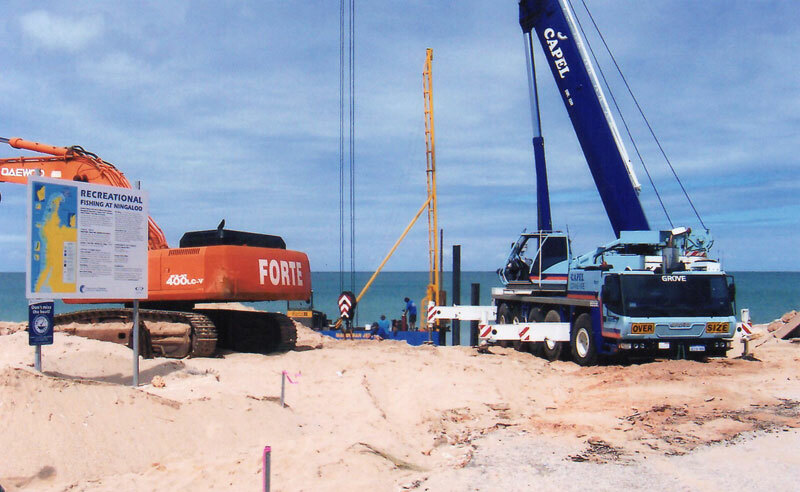 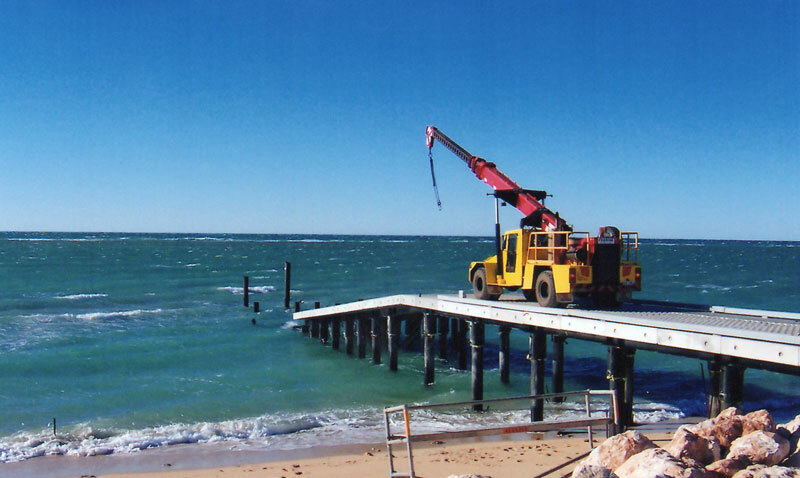 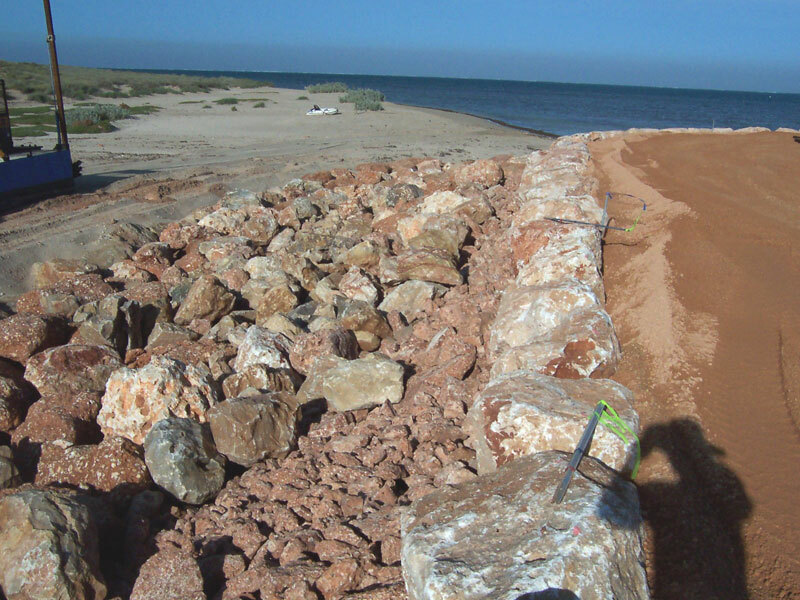 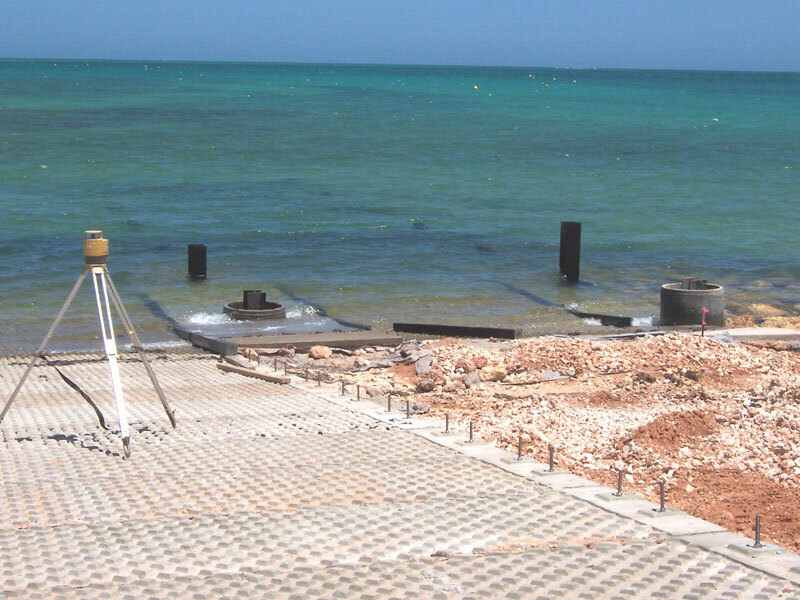 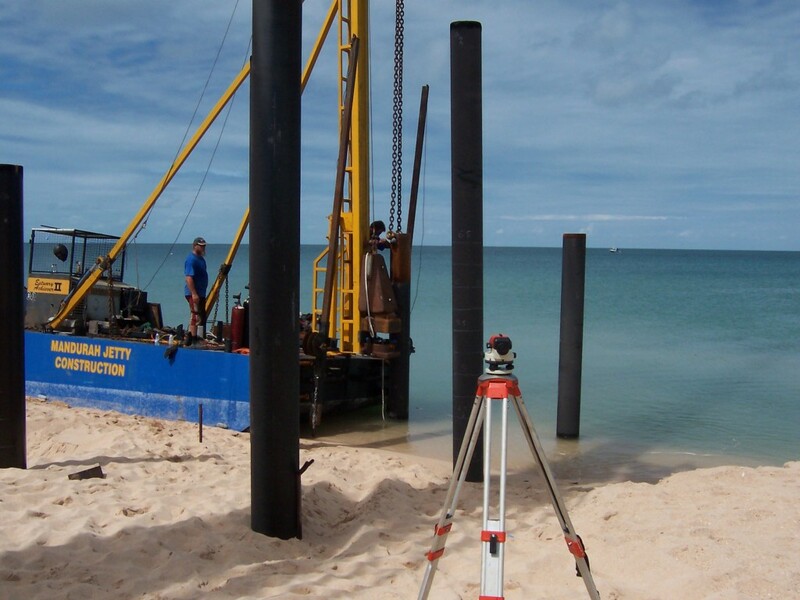 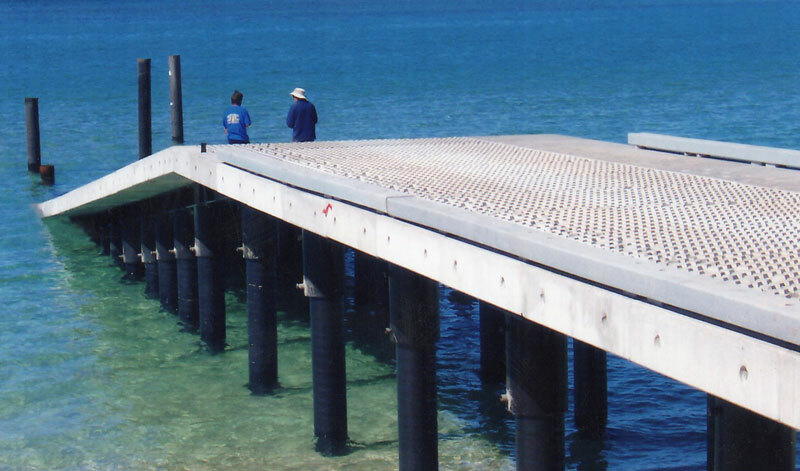 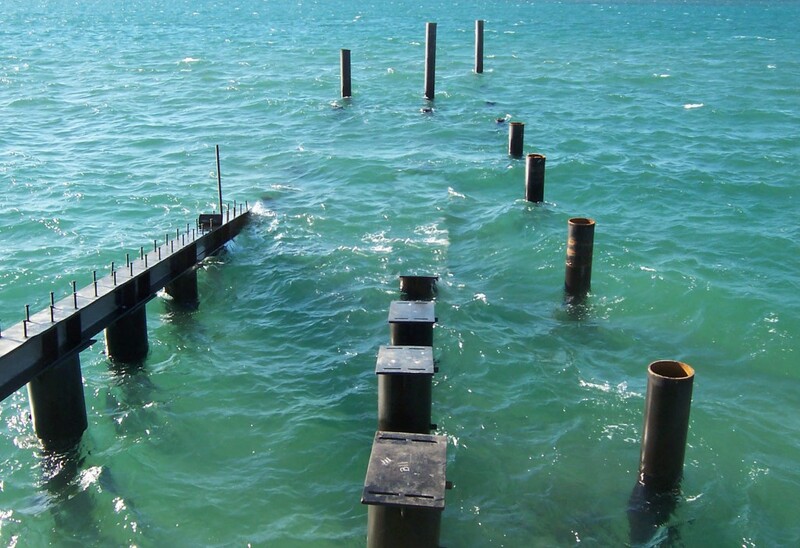 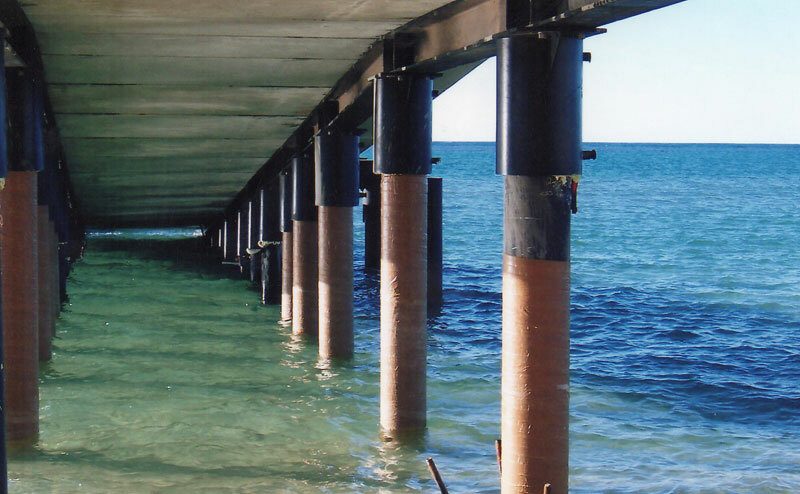 This project involved the design and construction of the Bundegi boat ramp in Exmouth, including the fabrication and installation of 355 mm steel piles and the installation of pre-cast, DPI approved non-slip launch ramps. 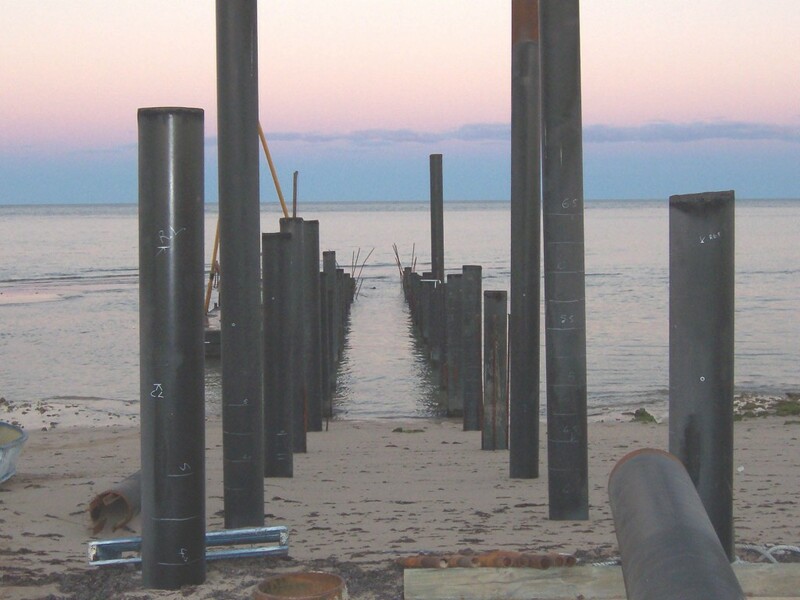 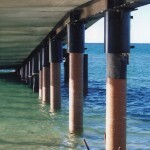 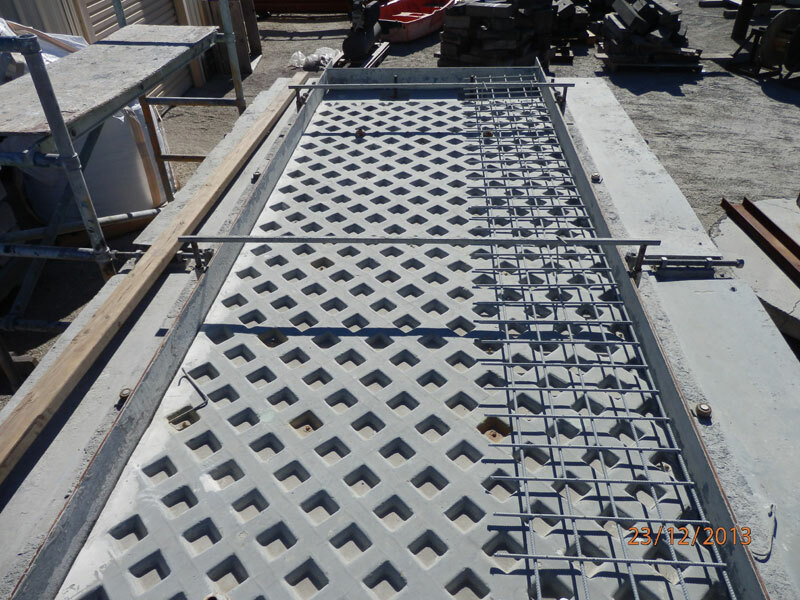 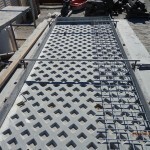 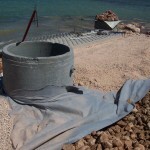 • In-house fabrication of piles and pre-casting of concrete structures. 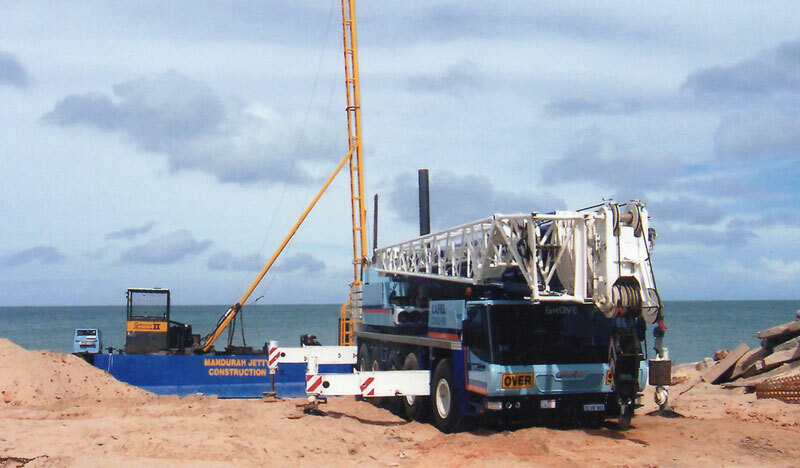 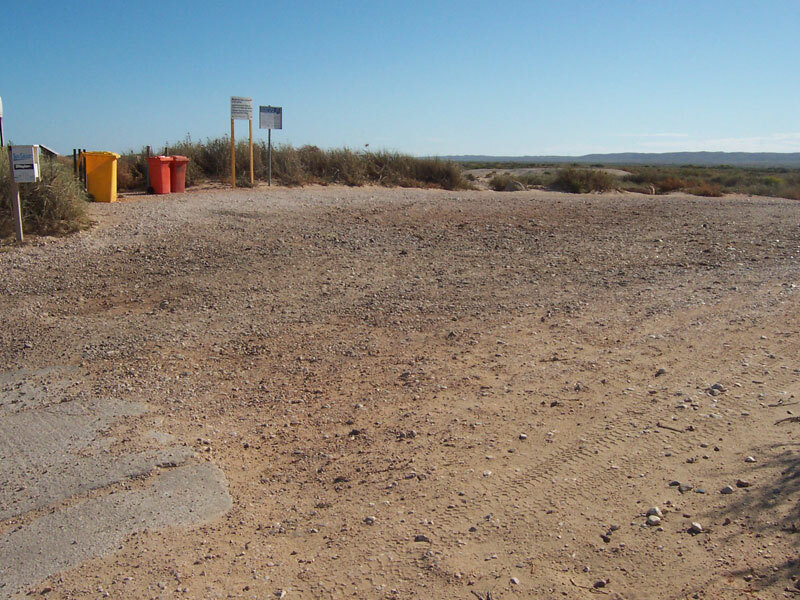 • The use of MJC’s existing Exmouth depot allowed us to provide a very cost-effective mobilisation and work in a remote area. 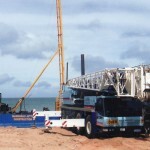 • All work completed to specifications, and within quality, time and budget constraints. 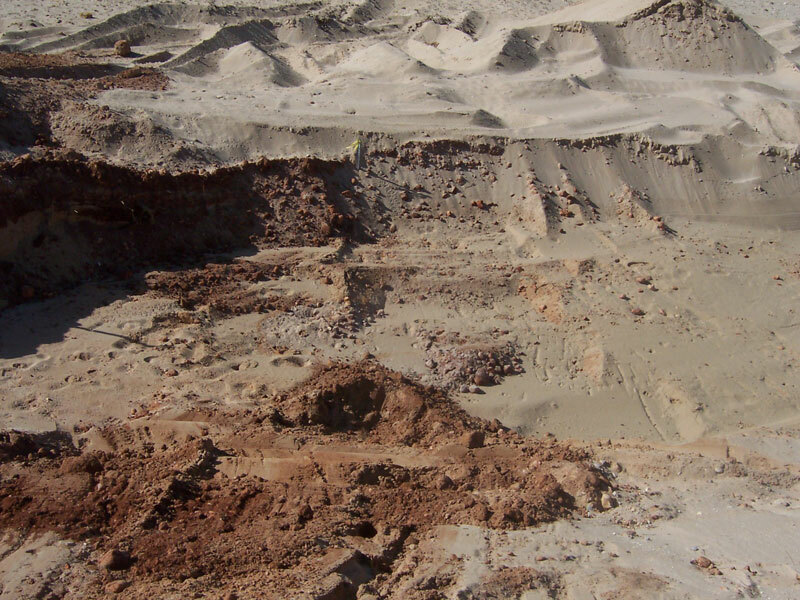 Work in an area of high environmental significance required implementation of a site-specific management plan to minimise our environmental footprint. 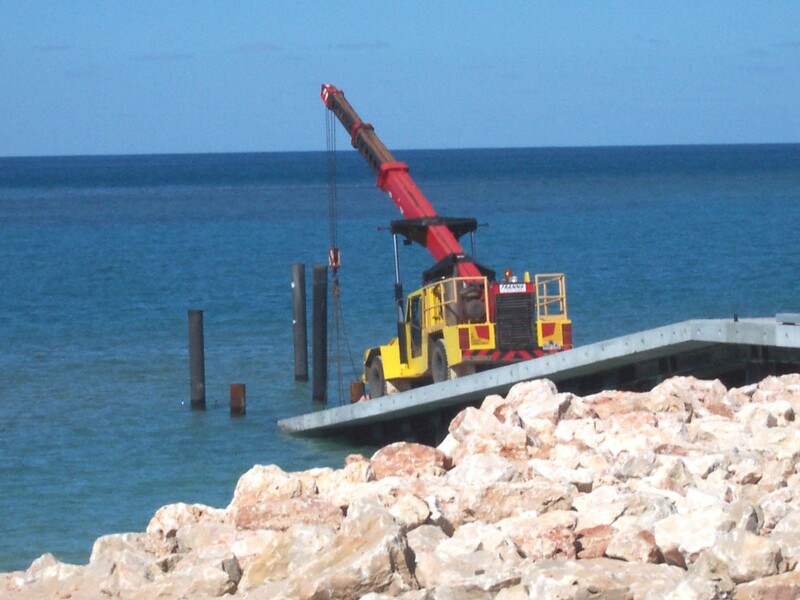 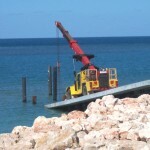 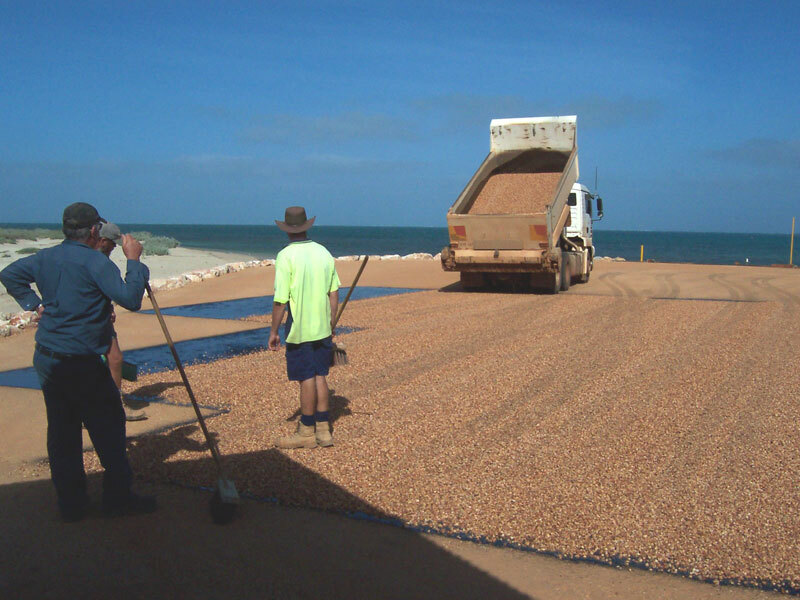 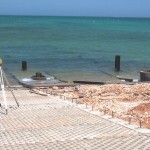 Large boat ramp had to be installed raised above the seabed to allow normal flow of sand; this required the use of specialist equipment. 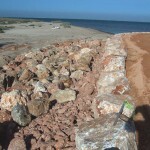 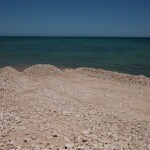 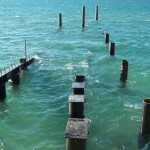 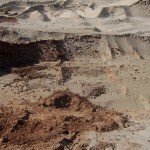 Piles were to be installed into rock but no sufficient rock was found. 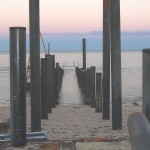 Install extra piles. 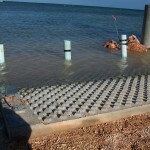 Weld grout tubes to the out side of 56 piles and pump grout down the outside for extra bearing load. 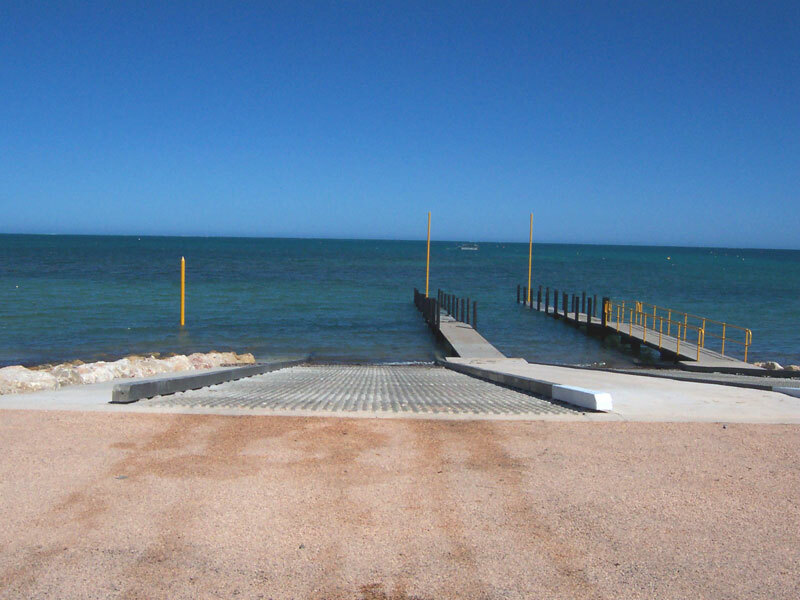 Tandabiddi is located on the west side of the Exmouth cape giving access to the world heritage Ningaloo reef A class reserve. 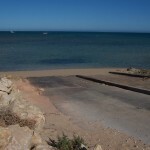 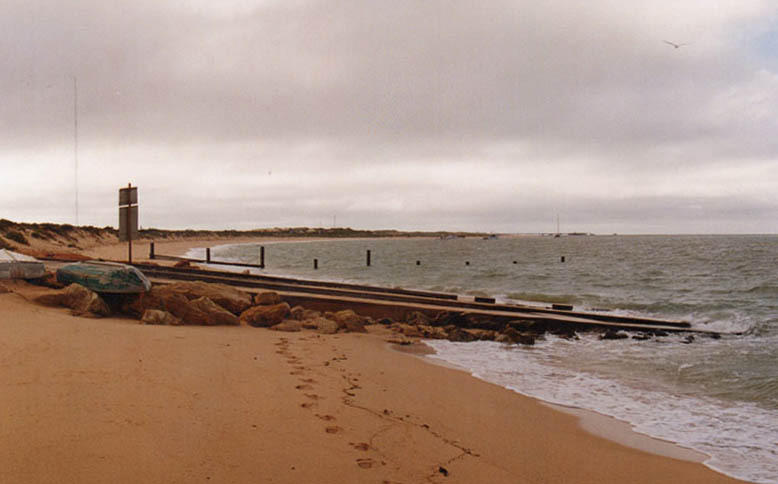 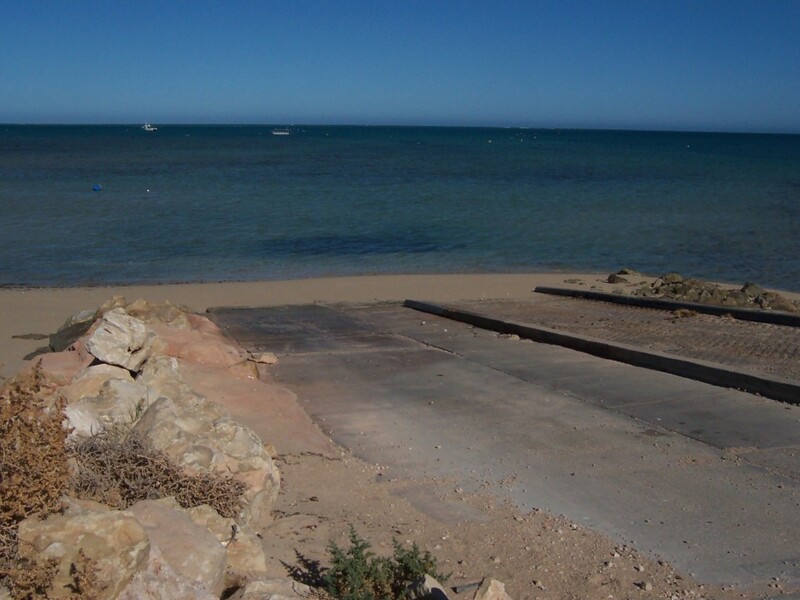 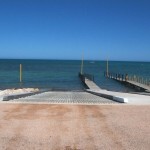 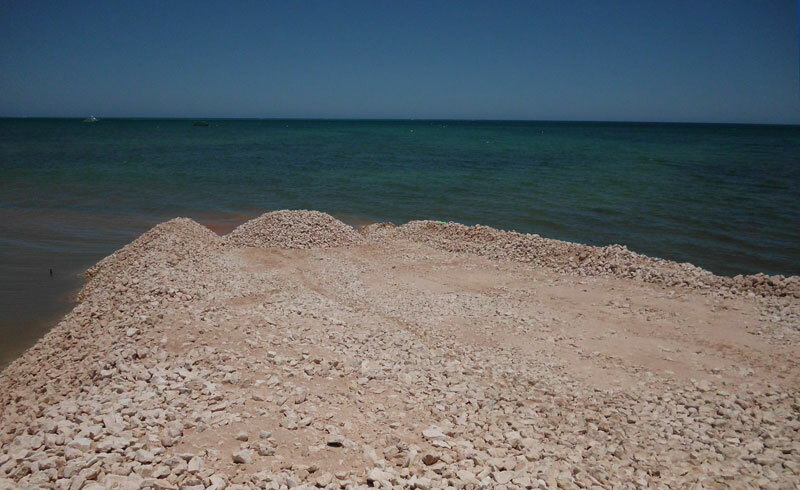 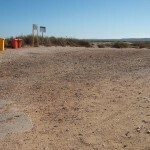 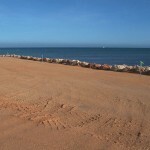 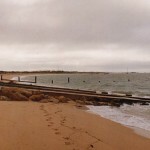 Exmouth is located in a cyclonic area so both boat ramps were of a heavy construction. 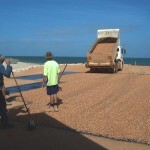 MJC being the head contractor coordinated all earth works and bitumen turn around areas.